Now might be a bad time to buy a Roku, as signs of new hardware clear the FCC. Former GigaOm writer Janko Roettgers first spotted the FCC filings, which hint at two new devices based on the $100 Roku 3. It sounds like they’ll be cheaper variants of Roku’s flagship set-top box. 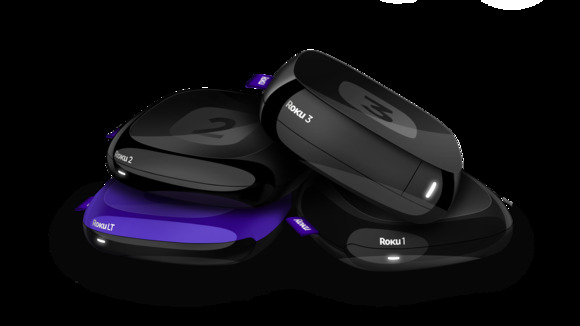 Both filings indicate no major hardware changes compared to the Roku 3, though Roku may be removing the Ethernet jack from these models and relying solely on Wi-Fi. The overall design looks to be a rounded rectangle similar to Roku’s existing set-top boxes. Roku currently sells three set-top boxes, though there’s not much reason to consider the cheaper models unless your TV doesn’t support HDMI and requires the Roku 1’s composite video output. Otherwise, you’re better off buying either the $50 Roku Streaming Stick or the $100 Roku 3, which adds Ethernet, USB, Micro SD, a faster processor, and a headphone jack on the remote control. With that in mind, perhaps the new models represent some spring cleaning, as Roku eliminates redundant hardware with a more focused lineup. On the other hand, the FCC filings could be hinting at a more significant revamp, with new high-end hardware or an updated Streaming Stick. Roku is requesting a 90-day confidentiality period on things like external and internal photos, so we’ll find out what the company’s up to within a few months. In the meantime, the company has slashed the price of the Roku 3 to $80. Why this matters: The timing of new hardware couldn’t be better for Roku. Earlier this week, Apple slashed the price of its Apple TV to $69. Roku also faces even cheaper competition from Chromecast (now the second most-popular media streamer in the United States, according to one survey) and Amazon’s Fire TV Stick. Roku is still the most versatile option, and benefits from a straightforward interface, but needs to keep its lineup fresh and prices low if it wants to maintain its lead.